West Coast neo-punk twins, The Garden are coming back to Australia!Having blown minds and ear drums with their incredibly energetic live shows last time they were here in 2015, The Garden are back with new tunes, a new album and whole lot of swagger.The Garden are an ever evolving duo from Orange County, California. Established in 2011 by twin brothers Fletcher and Wyatt Shears, they also created the term, "Vada Vada" to represent their music and other endeavours.The Garden strip off everything unnecessary about modern punk and get straight to the heart of it, consistently defying categorisation and breaking new ground with their own ‘Vada Vada’ philosophy, an idea that represents pure creative expression, disregarding all previously made genres and ideals. Theirs is outsider music made from the inside, and when the multitude of sounds collide at pace, the results are spectacular.Touring globally since 2012 they have become known for their energetic, aggressive and off the wall performances. 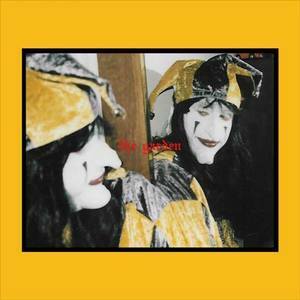 To date the twins have released four EP's, three full length LP's – the latest “Mirror Might Steal Your Charm” released on March 30, 2018.The Garden will be playing across Australia, including Melbourne, Brisbane, Sydney & Perth, as well as performing at Wollongong's massive Farmer & The Owl Festival.